Big data and learning analytics have immense power to transform our world, but what does that power really mean on a day to day basis? Let's take a look. Data-driven decision making is all about making decisions that are backed up by solid, verifiable data and not observations. Strategic decision making, which was popularized in the 1980s and 1990s, has transformed into a sophisticated concept. It bears the name of big data. With the help of advanced analytic techniques, it is possible to take a close look at large and varied data sets so as to uncover hidden patterns or correlations. At present, big data and analytics are used for instructional applications in the context of higher education. Due to the fact that there is not sufficient evidence regarding the way in which the investment can pay off, big data and learning analytics have not yet been adopted. Collecting and analyzing large chunks of data is one of the best approaches to improving the learning process. The problem is that educational sectors do not take advantage of the opportunities to invest in big data analytics and language processing. Basically, they do not do what it takes to improve their competitiveness and productivity. When it comes down to higher education, online and software based learning tools are used to a high degree. Students have tablets and utilize various applications, as well as numerous software-based learning tools to follow lectures, take notes, and even find adjuvant information. Technology is currently shaping the future of education. The phenomenon has resulted in an outburst of data. This information can be used to enhance educational effectiveness and support research on learning. Data mining is highly useful in the field of education, being used to predict the learning behavior of students and optimizing instructional sequences. Universities and other institutions of higher education draw thousands of students each year, but they do not bother to learn about big data. If necessary to provide a definition, we would have to say that big data describes large datasets whose size exceeds the capability of typical database software tools to capture and examine it. Taking into consideration the emergence of online learning environments, it is important to develop analytics capabilities. It is essential to get as many details as possible about individual student interactions with regard to web-based learning activities. It is interesting to note what students do to gain a broad understanding of chemistry. In addition to reading the material before going to class and using flashcards, they take private lessons with online tutors. Students like the fact that they are able to receive instruction at anytime and anywhere. It is not necessary for them to try to coordinate schedules with their tutors or come across a convenient location. There is nothing more important than gathering the large amounts of data and processing it through analytic methods. There are many benefits as far as big data and learning analytics is concerned. It is possible to gain insight into complex situations or problems, such as rates of participation, work schedules or grades. The information can be deployed to gain insight into the future. With many educational institutions struggling to get through the day. To be more precise, they are experiencing a crisis. There has been a serious decline in economic activity, not to mention the enrollment surges. Higher education is required to deal with a great many challenges and it cannot afford to wait for old times to return. Technology may be at the center of the turbulence, but it represents the only way out. American higher education is the pioneer of digital technology. Beginning with 1950, institutions of higher education have been using computers to maintain administrative records on finances, personnel, and students. However, it seems that Singapore is a long way ahead as far as the adoption of technology is concerned. Here, technological advancements have made their way into classrooms, laboratories, and, of course, administration. It is needless to say that universities and other educational institutions utilize only sophisticated software technology. Analyzing big data allows them to make better and faster decisions. Examples of techniques deployed include but are not limited to machine learning, predictive analytics, data mining statistics, and natural language processing. It is clear that there are many ways to analyze data in academia. One university from the United States has resorted to using data analytics to straighten out graduation rates. What they discovered was that individuals did not have difficulty with chemistry or biology classes. English classes were holding them back from being successful. Some universities and colleges turn to big data to predict the success of students, while other institutions of higher education are simply trying to understand whether or not their students are cramming for exams. It is tempting to think that it is simpler to just ask. It is not, unfortunately. Students are not willing to answer questions concerning their performance and, when they do, they do not always provide truthful answers. Owing to big data and learning analytics, institutions will be able to keep an eye on their students. Very soon, they will be able to predict how much graduates will earn at their jobs. Obviously, institutions of higher education should be working with partners who have a good understanding of the medium and can guide them through the decision-making process. 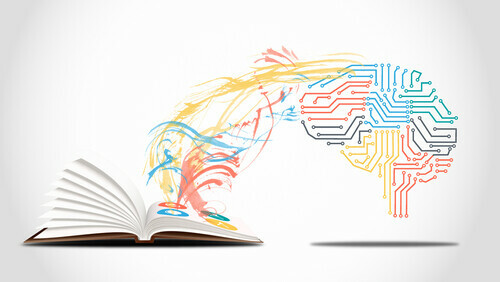 Final thoughts: When will big data and learning analytics finally revolutionize education? New technologies will allow universities, colleges, and other institutions of higher education to analyze virtually everything. They can apply big data analytics to educational functions, improving student results, creating customized programs, and enhancing the learning experience. Big data analytics is already changing the educational system and it is all for the better. It provides never before seen opportunities to understand students’ educational experience and help them succeed in life. The idea of taking advantage of academic big data is not absurd. Many institutions are already doing it and those who do not leverage technology only have to lose. We cannot wait to see what will happen in the years to follow.